I love it!!! Thanks so much!! I was at Miss Paula's Blog earlier today and then just came back again to look because it is so pretty. Great job! My 12 year old daughter walked in the room and oohed and awed too. Dawn. I can't find your e-mail address and I need to know how to add stuff to the misc. 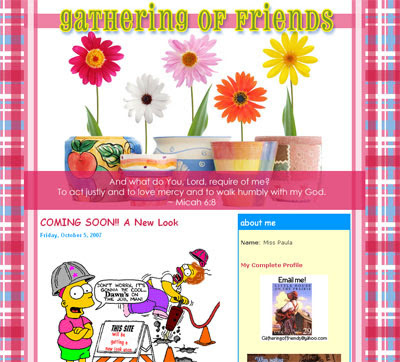 section of my blog!! Thanks! !